Heiko Ryu is of the Goju Ryu lineage, tracing its teaching line from Seko Higa and Miyagi Chojun, the students of Higashionna; to Izumikawa Kanki, Ichikawa Sosui, the outstanding researcher/historian Ohtsuka Tadahiko, and Con (Dean) Athanassiou in Australia, and the current Chief Instructor Paul Tomassini. Operations and club activities are in Melbourne, Australia; but links are established with various Goju organisations throughout Australasia. Heiko Ryu was registered in 1989 as the dojo name for Paul Tomassini and his students. This name is consistent with old traditional notions that the practice of martial arts has the further purpose of refining the character and spirit of the practitioner, yielding both practical and metaphysical outcomes. Paul was the student of Con (Dean) Athanassiou, who may be remembered by Melbourne’s martial artists of the 1960s and 70s. Dean and his father Tony were the principals of the Silver Top Taxi dojo, one of Australia’s first full-time dojos. In 1972 Dean visited Japan to pursue further improvement in the Kyokushinkai style under Mas Oyama. Under exceptional circumstances, Dean was befriended by Ohtsuka Sensei and returned to Australia with a commitment to study the GojuKensha style. 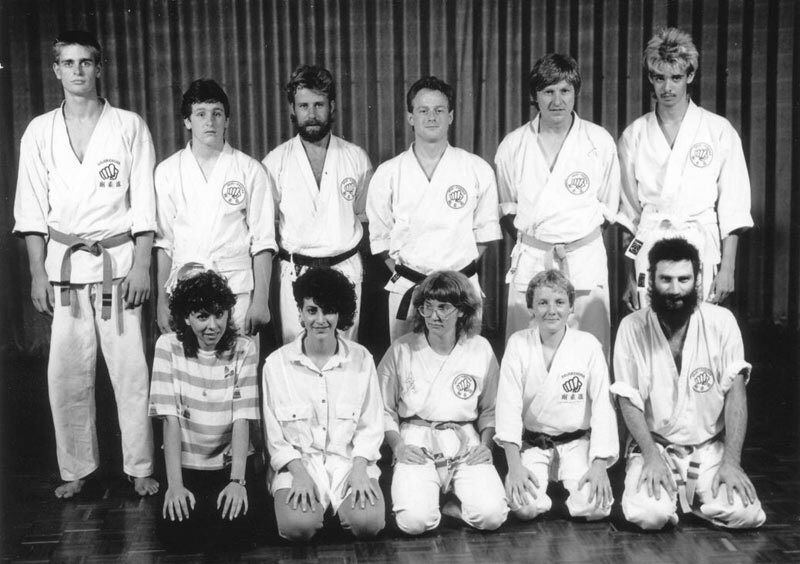 Paul commenced his martial arts training in March 1975 with the GojuKensha club at La Trobe University (Bundoora Campus) and received his Shodan Ho grade after an intensive 3-plus years of training. In his fourth year he was entrusted with the class, but left in 1979 when he graduated, and relocated to Port Hedland (North-West coast of Australia). He established a small club in Port Hedland, and for the 2 years he lived there he persisted with “temperate-zone” training methods under very hot and humid conditions . Predictably the class was small, comprising only the few students who were just as silly as he was! In 1981 Paul returned to Melbourne and opened up a club in Wheelers Hill, in the south-west of Melbourne. With small relocations the club has existed continuously since then. The major dojo is currently in Glen Waverley, and further branches are located in Research, Keysborough and Berwick. In 1982 Dean Athanassiou, the Chief Instructor of GojuKensha Australia left karate and passed on stewardship of the style to one of the senior students. 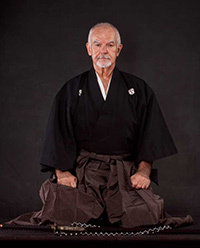 Soon after obtaining his fifth dan, Paul was the first of the original seniors to leave the organization (1995) and today is part of an extended diaspora of former Goju Kensha seniors located throughout Melbourne and beyond. 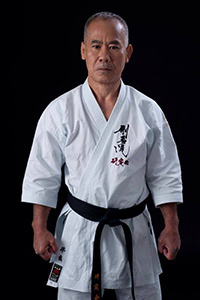 He is a founding member of the Goju League of Instructors, a non-profit association of like-minded practitioners committed to advancement of Goju Ryu black belts through collective cooperation. The Heiko Ryu style follows the lead of Ohtsuka Sensei in continuing the old Okinawan tradition of visiting “the old country” (China, the geographical and cultural centre of Asia) to continue the study and development of budo. We have expertise in various “modern” Tai Chi Chuan and Yunfa (forms and applications) as well as some familiarity with White Crane & Monk Fist training methods, Chin Na and Kempo. From 1995-til present we have been part of a Melbourne-based group of instructors which has been further augmented by the perspectives and teachings of Hanshi Patrick McCarthy. With Professor Ohtsuka and Hanshi McCarthy, we have access to the curricula of two of the most prominent Martial Arts researchers and historians of the present age. They translated the formerly “secret” manual of Karate - the Bubishi - to Japanese and English respectively. They have travelled, trained throughout greater Asia and published extensively. We feel profoundly fortunate to be thus enriched. However we have also been fortunate to had exposure to other wonderful GojuRyu masters such as Hibio Tadashi, Watanabe Kenshu, Hokama Tetsuhiro, and Taira Masaji. In particular we seek a deeper understanding of the roots of GojuRyu kata/bunkai, probing past the Okinawan connection through to Monk Fist and White Crane methodologies. Our background in Tai Chi provides a unique counter-perspective to this study as well as the opportunity to continue our active involvement in the martial arts into the middle years and beyond. We have a second major interest in establishing close-quarter combat simulations where a wider range of “taijitsu” found within the ancestral GojuRyu kata/bunkai can be safely integrated.